Arrive at Yangon International airport, meet the native English speaking guide.Transfer to hotel for check in. Lunch break. 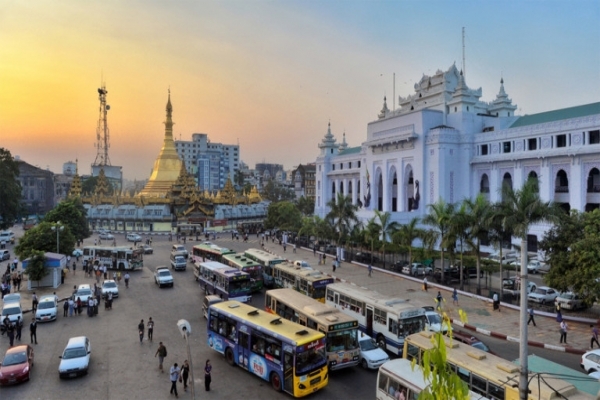 Start sightseeing of Yangon city center, Sule Pagoda, City Hall, High court, Independence monument, where you can see the bustling life of the city. Then proceed to the well-known Bogyoke (Scott) market – the famous market of Yangon and to the most spectacular religious edifice, Shwedagon Pagoda for daybreak sunset.Overnight in Yangon. After morning breakfast, transfer to airport for Heho domestic flight. 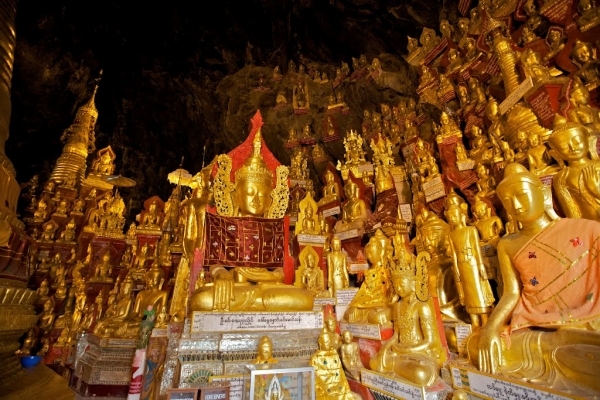 On arrival continue by coach to Pindaya natural cave – where nearly 8000 of Buddha images are stored and visit the Shan Paper processing workshop, Bamboo Umbrella manufacturing process for daybreak. Overnight in Pindaya. Morning, drive to NyaungShwe,the gateway to Inlay Lake by coach, which situates 900 meters,(above sea level)for the home of unique one leg rower. Explore the beautiful Inlay landscape floating market, floating gardens,conical fishing method,famous Phaung Daw Oo Pagoda,Nga Phe Kyaung Monastery – a beautiful collection of antique Buddha statues,Silver smith design of Inlay by boat.Overnight in Inlay. After breakfast, walk around the environ and transfer to Heho airport for Yangon flight.Check in hotel. Free and leisure day breaks. Overnight in Yangon. After breakfast at hotel, leisure time to pursue individual interest until your transfer to the airport for next departure from Yangon.